Richard F. Friedman is experienced in municipal law, real estate law, public finance, litigation, eminent domain and appellate practice. Mr. Friedman is a member of the managing group and has been affiliated with Neal & Leroy, LLC since 1983. 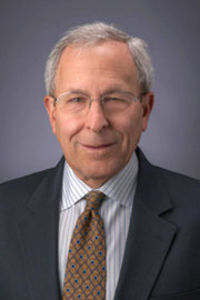 Prior to joining Neal & Leroy, LLC, Mr. Friedman was a member of the City of Chicago Law Department’s Appeals and Review and the Finance Divisions. He also served as counsel to the Chicago Landmark Commission and the City’s Motion Picture Appeal Board. Mr. Friedman has written chapters on appellate practice and eminent domain for legal publications and has lectured on eminent domain and historic preservation law. Mr. Friedman has represented clients in appeals at all state and federal levels.